Furthermore, nearly 60 per cent of UAE smartphone users watch online videos on their devices daily, including nearly 50 per cent watching movies via their smartphones. Also, more than 80 per cent of the UAE’s smartphone users identify as “mobile gamers” including 86 per cent of users between 16- and 36-years. Size, therefore, does matter, when it comes to the all-important decision of the right smartphone. For the ultimate viewing experience and for the most fulfilling gaming session, the screen can make all the difference. The UAE is currently ranked 41st worldwide amongst the world’s top 100 gaming markets based on their revenue estimates as of October 2018, with a total revenue of US$226 million. 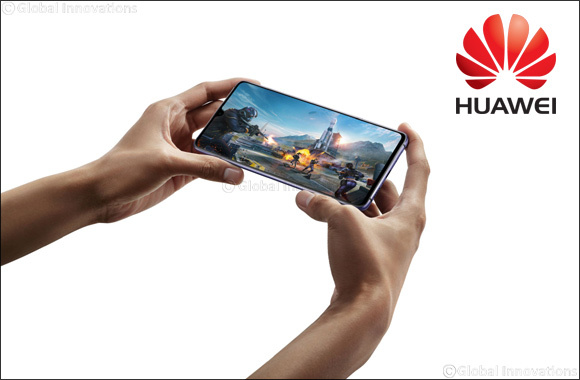 HUAWEI Mate 20 X is a maxed up device from Mate 20 series that combines larger 7.2” screen, the super capable Leica tripe camera from the Mate 20 Pro plus a bigger 5,000 mAh battery to whet the appetite of the UAE’s digital entertainment and gaming community.